Amazon Advertising campaigns helped deliver a 2.5x increase in annual revenue for Amazon seller Super Deal. After a decade as an Amazon seller, Super Deal needed a new way to get in front of more customers and differentiate its brand. The company began testing advertising strategies in 2015 with a limited budget to promote nearly 15 brands. 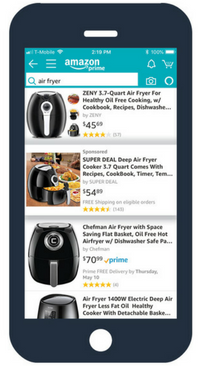 Read Super Deal’s story to learn how its Amazon advertising strategy contributed to a 2.5x increase in annual revenue and achieved a 400% lifetime return on ad spend.